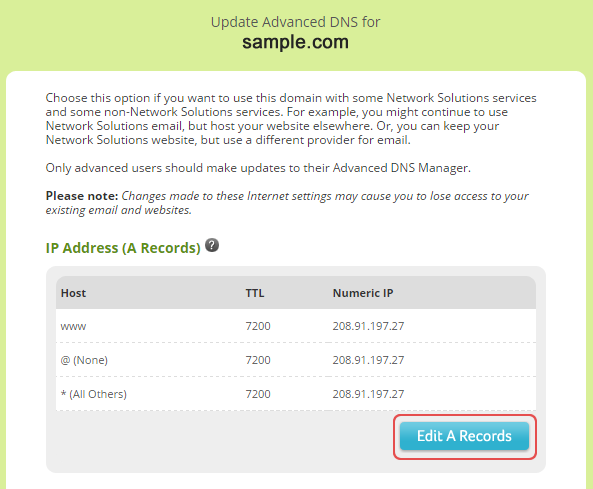 Important: You should already have an active domain with Network Solutions. 1. 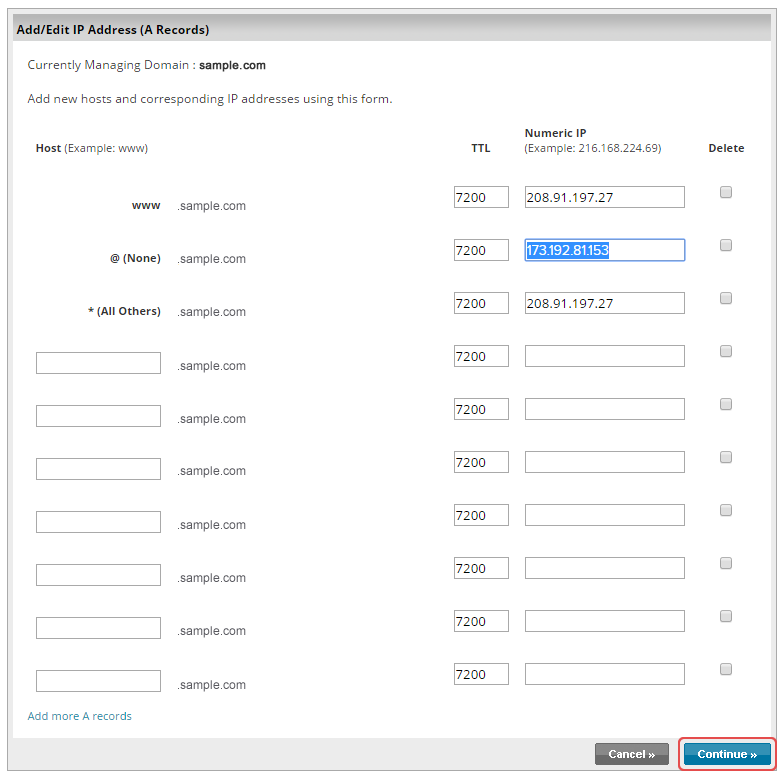 Log into your Network Solutions account. 2. Click the Edit DNS link. 3. Click once again the Edit link. 4. Click the Edit A Records button. 5. Replace the IP address and click Continue. 6. Click the Save Changes button once you are done.